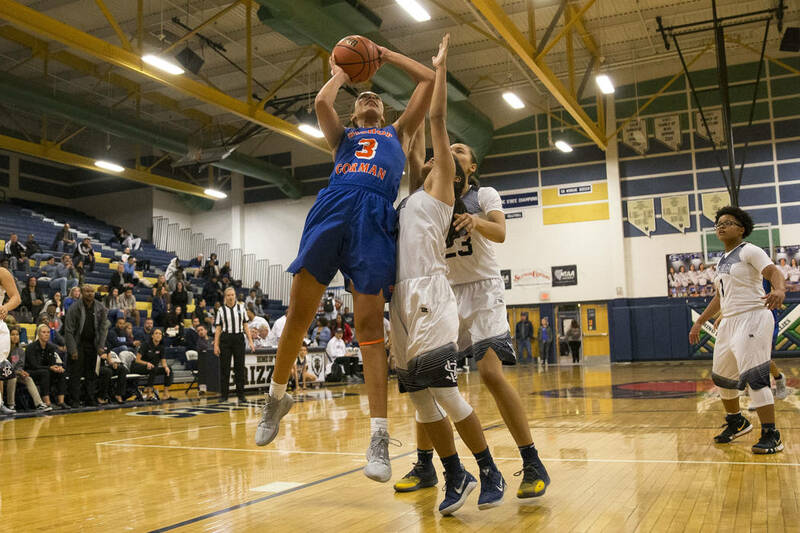 Bishop Gorman opened the game with a 15-2 run and withstood a late rally to secure a 56-44 road victory over the Grizzlies, who knocked the Gaels out of the region playoffs last season. 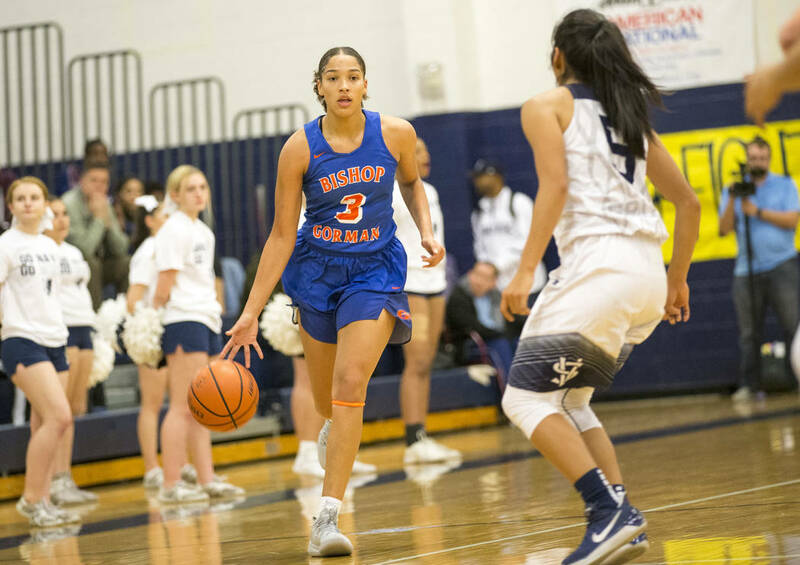 Bishop Gorman girls basketball coach Kevin Nixon didn’t have to give his team much of a pep talk before its game against Spring Valley on Tuesday. The Gaels were more than ready — on their own accord. 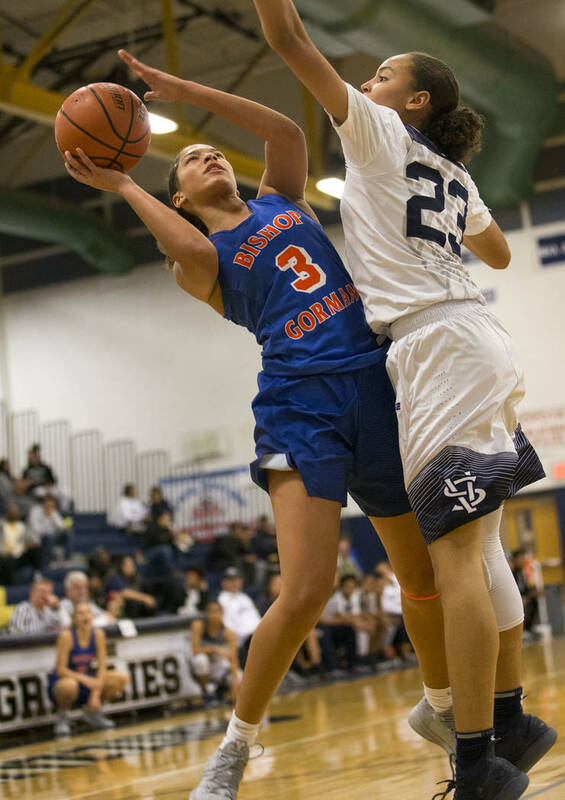 Gorman opened with a 15-2 run and withstood a late rally for a 56-44 road victory over the Grizzlies, who last season knocked the Gaels out of the region playoffs. 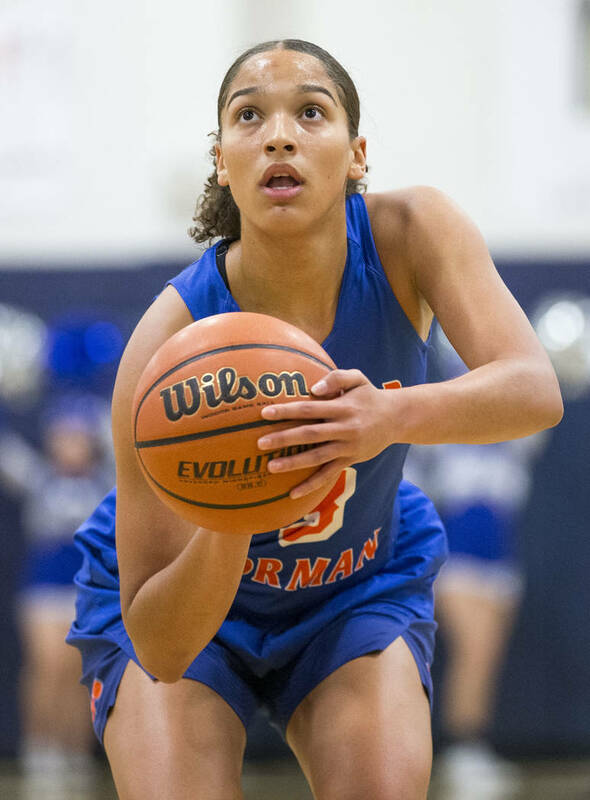 UC-Riverside recruit Georgia Ohiaeri finished with 18 points on 9-of-13 shooting and had 11 rebounds for Gorman (4-0, 1-0 Southwest League). Teammate Tierney Holcombe scored 11. 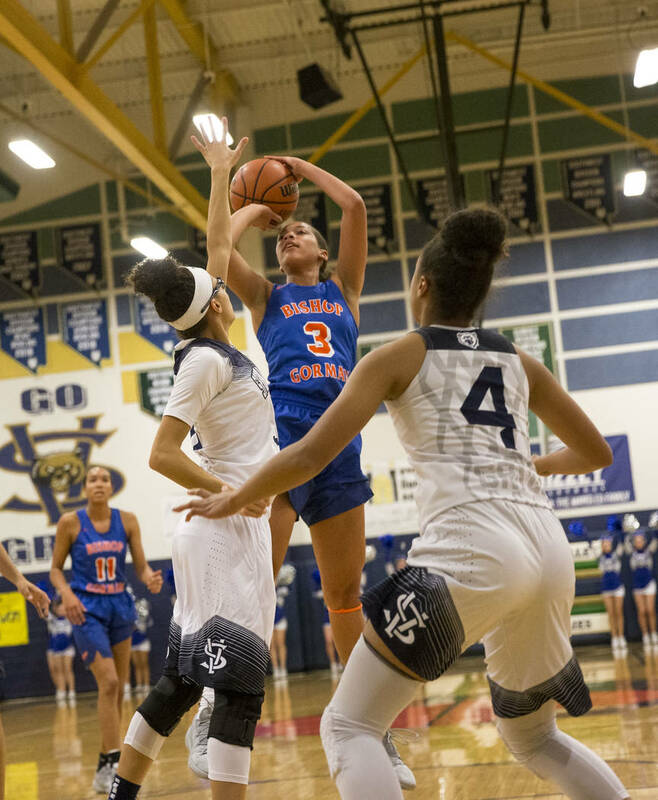 Though talented and deep, the Gaels struggled to jell last season, finishing 12-17 record with a second-round loss to Spring Valley in the Class 4A Sunset Region playoffs. 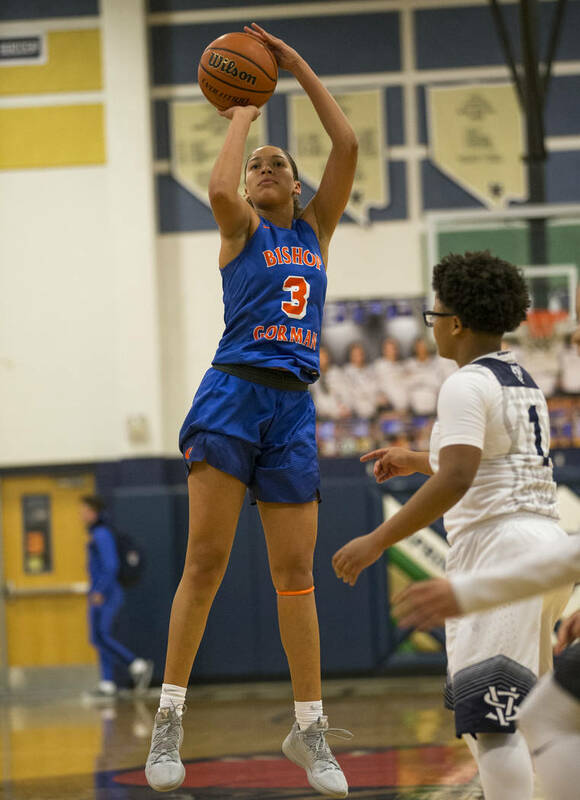 But Gorman returned most of its rotation and played in several preseason events to prepare for this season, which started with three victories in the Lake Powell Holiday Shootout in Arizona. The Gaels did a little of everything Tuesday and flummoxed the Grizzlies in the first half with their 2-3 zone defense. 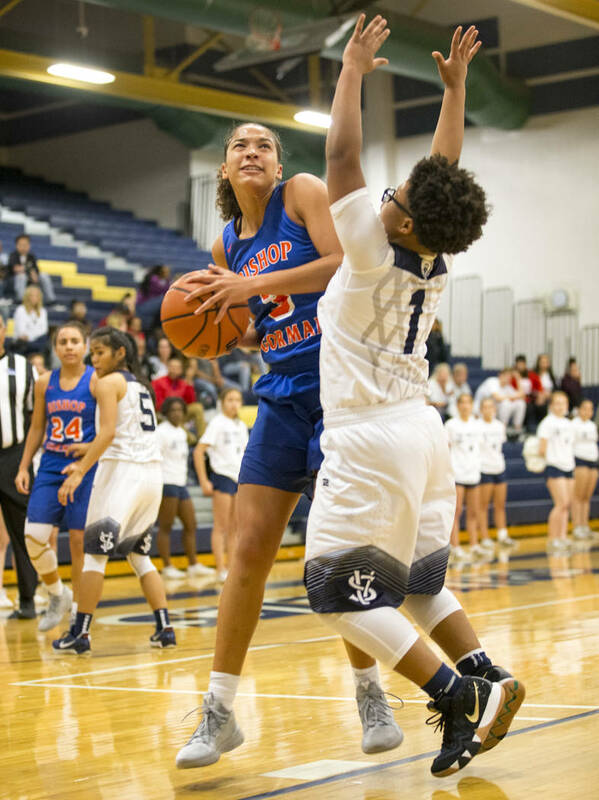 Ohiaeri scored at will in the post and on the perimeter and delivered a key basket in the fourth quarter to offset a spirited Spring Valley run. Chelsea Camara scored 17 for the Grizzlies (2-4, 0-1) and teammate Alexus Quaadman had eight points and 15 rebounds. Standout underclassmen Aaliyah Gayles (injury) and Garrisen Freeman (coach’s decision) did not play. More Nevada Preps: Follow online at nevadapreps.com and @NevadaPreps on Twitter.